The average small business owner is in charge of taking care of a million and one things at any given moment. From handling scheduling issues to dealing with payroll problems, it’s almost too much for one person to take. It’s why so many small business owners struggle when it comes to keeping up with their company’s social media accounts. There simply aren’t enough hours in the day to put up posts on Facebook or add photos to Instagram. A social media agency in Los Angeles can help you if you’ve encountered this problem lately. They can handle your company’s social media presence and make sure you’re getting a good return on your investment. Here are some tips that will help you choose the right social media agency for your small business. There is no shortage of social media agencies in Los Angeles today. You can find dozens of them scattered throughout the city. And to a larger degree, you can find hundreds of them throughout the state of California. So when you commit to bringing a social media agency in Los Angeles on board for your business, start by finding one with experience in your specific industry. A social media agency that has worked their magic for those in, say, the restaurant industry might not be able to duplicate that success in the fashion world. Ideally, find a social media agency that has worked closely with those in your industry, especially if you work in a niche industry that might be difficult to market effectively online. You want your social media agency to be able to hit the ground running once you hire them without having to play catch-up at the beginning. Once you find a social media agency in Los Angeles with some experience in your industry, ask them to show you examples of work they’ve done for small businesses like yours in the past. It’ll give you a better idea of how they approach social media and digital marketing as a whole. In a perfect world, a social media agency will have worked closely with a company just like yours in the past and delivered results to them. This will give you more confidence in their ability to deliver results to you as well. When you sit down for a meeting with a social media agency in Los Angeles, you obviously want to see what they’ve been able to accomplish in the past. It’ll make you feel better about working with them in the future. But in addition to asking to see examples of their past work, ask them to see some specific examples of strategies they would use to beef up your business’ online presence. Is your Facebook page currently lacking in content? A social media agency should have some clear ideas of what they would add to it to get a better response from your customers. Is Snapchat something that would benefit your business? If so, get a Snapchat account up and running right away. If not, close your current Snapchat account down and focus your social media resources elsewhere. Are there better photos that could be placed on your Instagram account to illustrate what your business is all about? A social media agency in Los Angeles should have some ideas as far as that goes, too. At the end of a meeting with a social media agency, you should know exactly how they would plan to help you with your social media practices. If you can’t envision the strategies they’d use to assist you, they haven’t done a very good job of explaining the benefits of working with them. A social media agency in Los Angeles is going to go to great lengths to tell you all about the excellent services they’re going to provide for you. But are those services really going to be as great as they say? These days, don’t hire anyone to do anything for your business before you check out online reviews for them. That goes for everyone from product vendors to social media consultants. Log online and scour the reviews for the social media agency in Los Angeles you’re thinking about hiring. Read both good and bad reviews for the company, if possible, to find out exactly what their past clients have said about them. Consider reaching out to reviewers to get more information on companies if you can. This will help you hire the right social media agency for the job. Don’t hire a social media agency simply because they offer the lowest cost to you. You will get what you pay for when it comes to social media, and the cheapest agency might not be the best one. At the same time, find a company that offers social media services that fit within your budget. Be reasonable when crunching the numbers and coming up with a budget in the first place. Then, stick to that budget when shopping around for social media agencies. By investing money into the right social media agency as opposed to the cheapest one, you’ll get a much better return on your investment. Your business will grow and generate more profit when you’re equipped with a social media agency that knows what they’re doing. 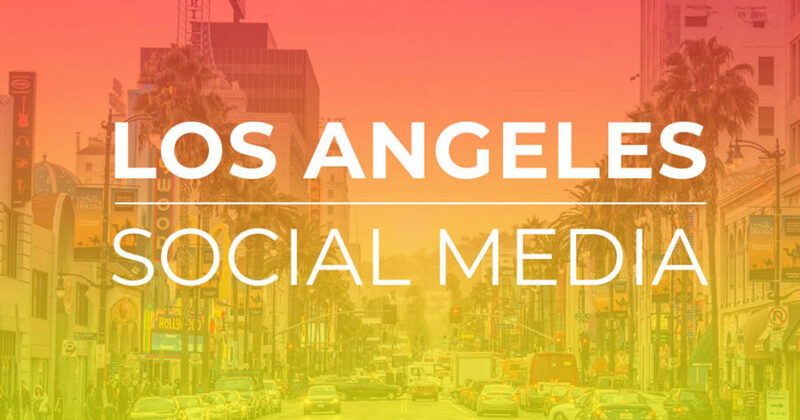 Are you searching for the best social media agency in Los Angeles right now? By following the steps listed above, you’ll be able to track down the right company for the job quickly. Push your social media agency to work hard on your behalf, and you’ll see an uptick in business in no time. You’ll be able to connect with new customers like never before and see results in just weeks. Read our blog for more information on digital marketing and the latest social media techniques that agencies are using. Next readingGirl With Knife is LIVE!